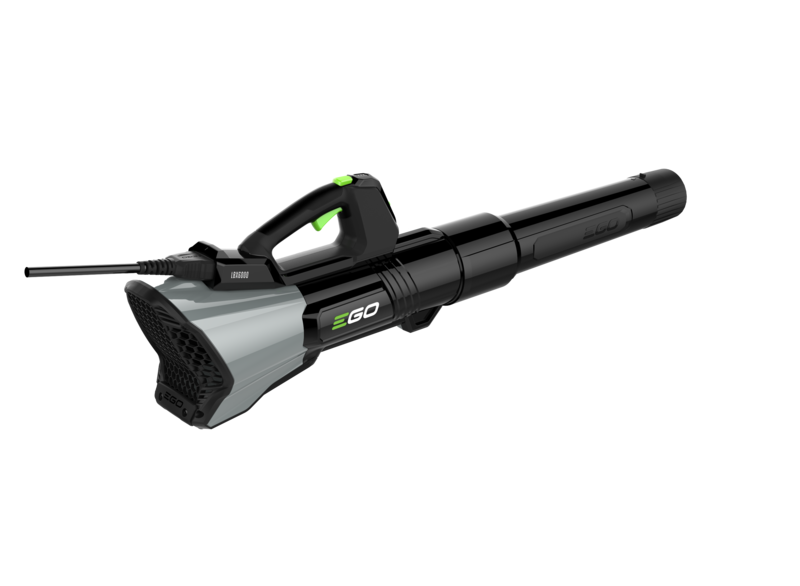 Ego the maker of the widely popular 56V battery powered outdoor power equipment geared for homeowners is now announcing a new line of 56V OPE for commercial use called the Ego Commercial Series. 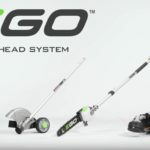 What’s interesting to note is that although the Ego Commercial Series is new to us here in the USA, it has been available already in the UK for several months now and it’s called the Ego Commercial Range over there. Not much of a name difference. 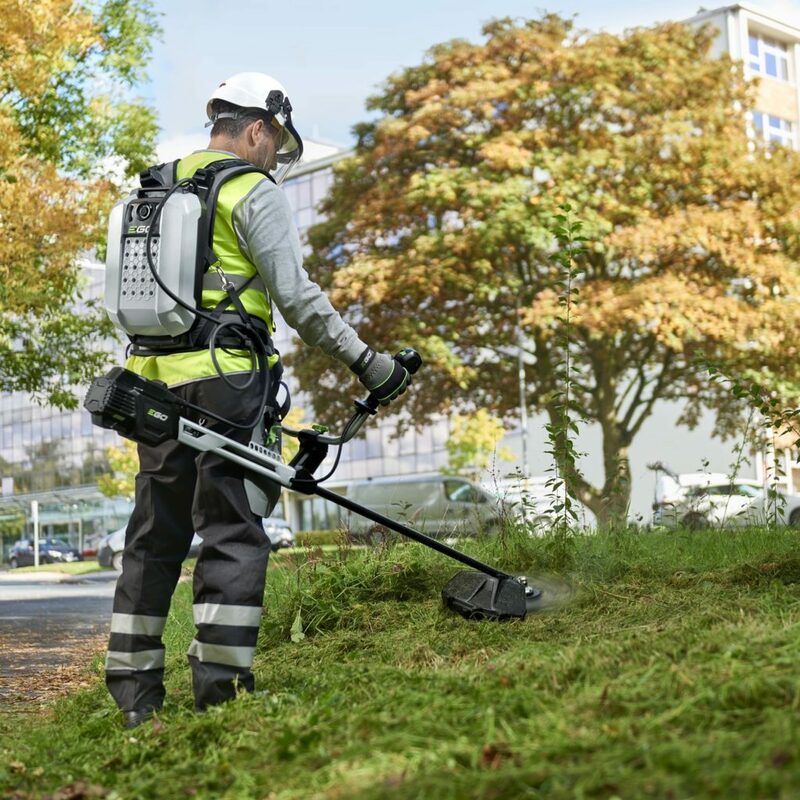 At the heart of the new Ego Commercial series is a backpack battery system that utilizes a harness that holds a new and large 28 amp hour battery running at 56 volts and has a cord that feeds each of the new Ego commercial series power tools. The new 28V battery pack also has a built in USB port to power your mobile devices on the go. The connection between the commercial series battery packs and commercial series tools is proprietary meaning that you’ll need the new commercial series backpack batteries and cord to power the new commercial series tools. 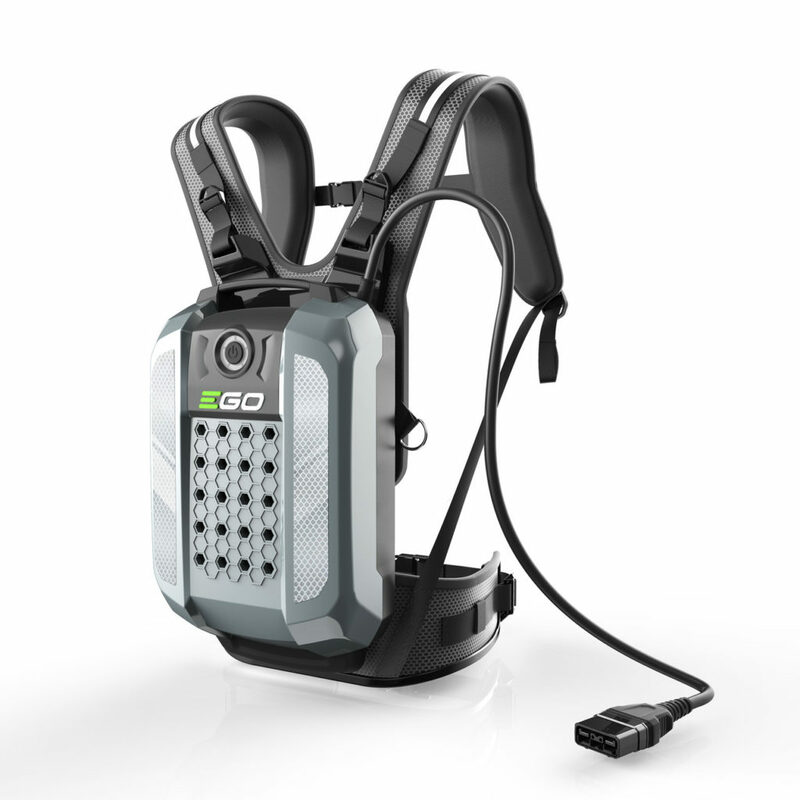 Ego also makes a new backpack harness which is basically a battery holder so you can use your regular 56V Ego battery packs you already have on hand and so that you can power the new commercial series power tools since this harness includes the new proprietary commercial series cord and connection. It also comes with a battery adapter that looks like a battery pack so you can use this harness to power your current Ego 56V power tools. So far they have only new 3 new commercial OPE with a new string trimmer, blower and hedge trimmer. I didn’t see any mention of a new commercial series mower and chainsaw so as to have a more “complete” system but it’s an ok start nontheless. The backpack battery pack and all three new commercial series tools can withstand heavy rain so no need to stop when it pours. Just keep on going. From the info I’ve picked up, here in the USA the backpack battery is only a 28 ah battery pack while the UK gets an additional battery pack that sports 23 ah making it slightly smaller. 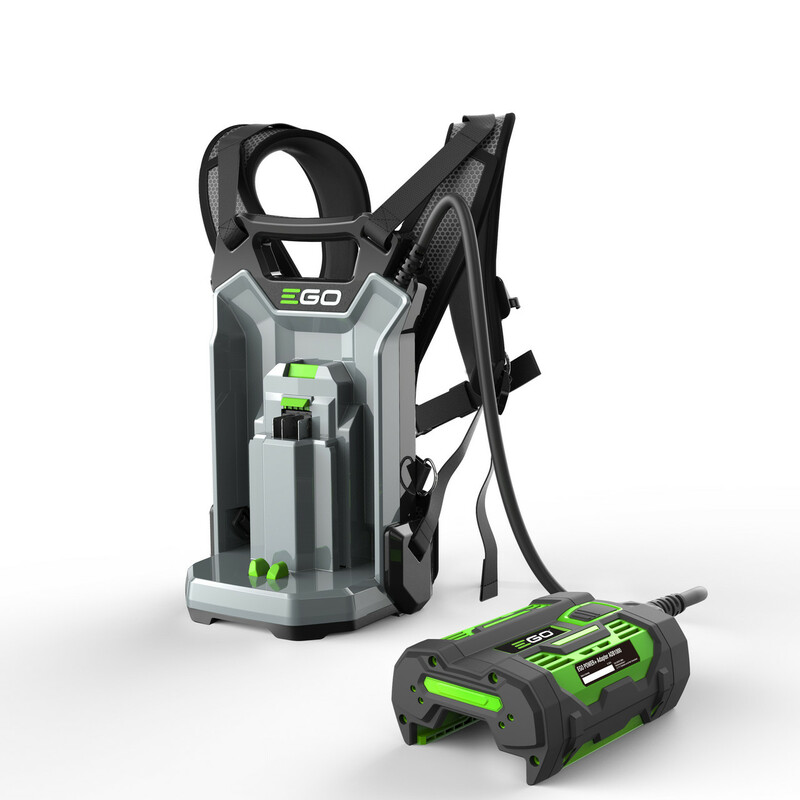 According to Ego, the 28 ah backpack battery can run their new commercial series power tools for up to 7 hours. They didn’t mention if this was 7 hours of continuous use at full or low power or of intermittent use. Ego makes a similar claim for their 23 ah battery claiming it can power through a full 8 hour day of work. Their words, not mine. 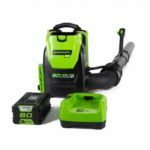 Also according to Ego, the 28 ah backpack battery pack can power the new blower for up to 6 hours and the new hedge trimmer up to 7 hours. 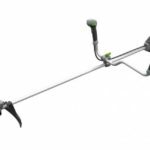 The new Ego commercial string trimmer is a dual string trimmer and comes with .095″ line and can accept .105″ line. 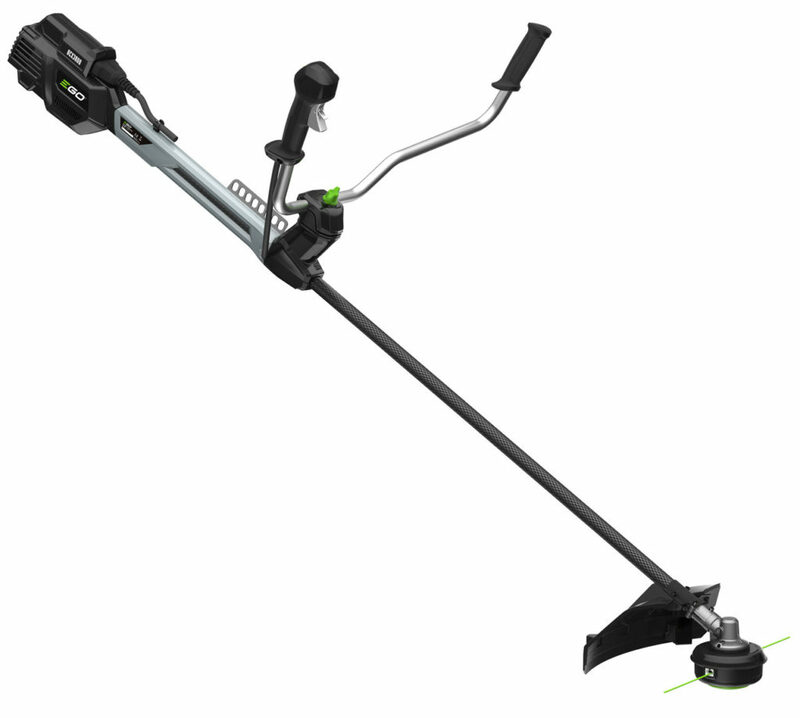 It’s also a brush cutter and includes a brush cutter blade. You can get up to 330 minutes when used as a string trimmer or 540 minutes of runtime when used as a brush cutter with the 28 ah battery pack. 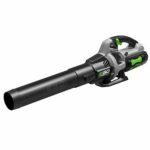 The new Ego commercial blower has 600 CFM’s at 132 MPH making a very powerful handheld blower. It can get up to 350 minutes of runtime when used with the 28 ah backpack battery. 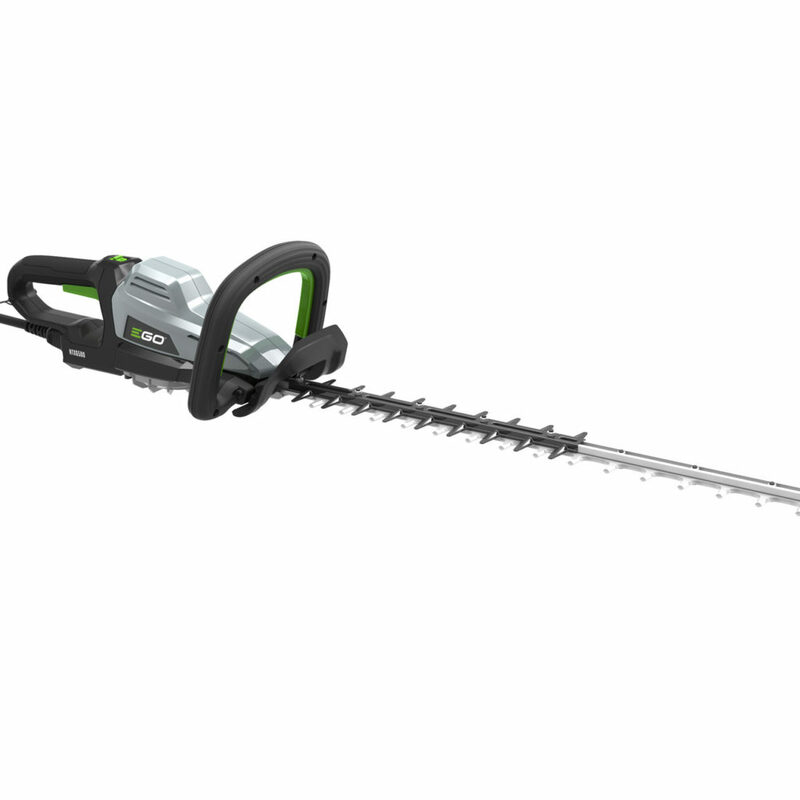 The new Ego commercial hedge trimmer is a 25-1/2″ inch hedge trimmer with a 1-1/4″ cut capacity, a user serviceable gearbox and can run for up to 420 minutes with the 28 ah battery pack. The backpack battery pack will be priced at about $1200 USD and around $1400 USD with the harness and adapter. A big thanks to Cody Robertson for spotting this and bringing this to my attention!